Dr. Sapna Palep has been recognized as one of New York’s leading board-certified dermatologists for nearly a decade. Since founding Spring Street Dermatology in 2010, Dr. Palep has helped countless patients achieve clear, healthy skin with her safe, effective, and highly individualized treatment plans. Dr. Palep conducts annual skin cancer screenings and treats all dermatologic conditions, including acne, eczema, psoriasis, and rosacea. 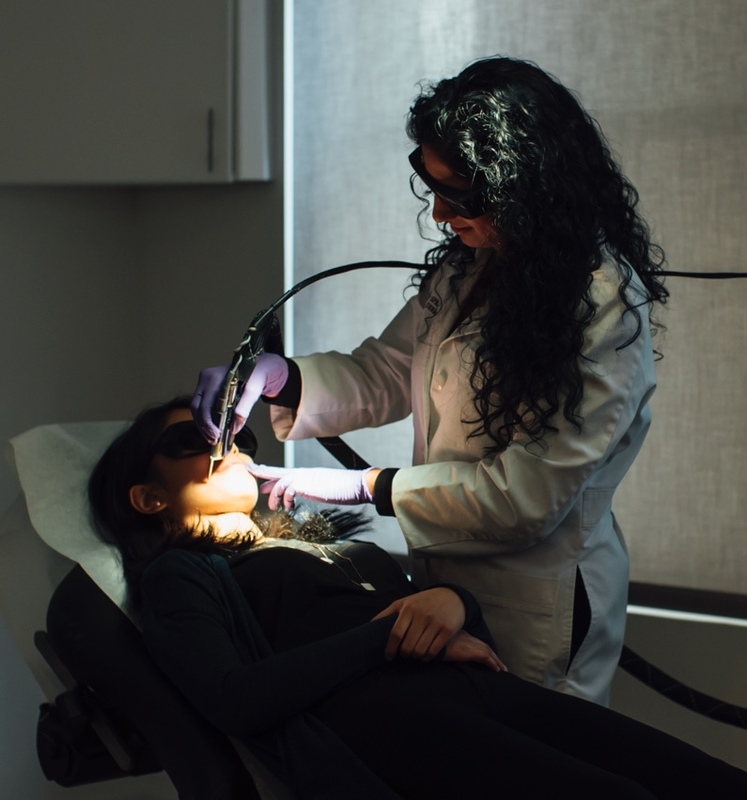 She is also highly sought after for her skill in cosmetic treatments, including Botox, chemical peels, dermal fillers, microneedling, and resurfacing lasers. A native of Florida, Dr. Palep completed her undergraduate studies in biology and chemistry at the University of Miami in 1999. She attended the University of Miami School of Medicine for two years before relocating to New York in 2000. She completed her medical degree at New York Medical College in 2004. The same year, Dr. Palep graduated with a Master’s of Business Administration from the Lubin School of Business at Pace University, where she majored in Health Systems Management. After an internship in internal medicine at Soundshore Medical Center in New Rochelle, Dr. Palep began her residency in dermatology at Mount Sinai Medical Center in 2006. She served as Chief Resident in the department of Dermatology from 2008 to 2009. Since 2010, Dr. Palep has served as Clinical Instructor in the department of Dermatology at the Icahn School of Medicine at Mount Sinai. For her commitment to excellence in education, Dr. Palep was presented with the Teacher of the Year Award in 2010 and 2012, and the Mentor of the Year Award in 2013. In 2015, the Leading Physicians of the World recognized Dr. Palep as a Top Dermatologist in New York. In 2018, Castle Connolly named Dr. Palep a Top Doctor in the New York Metro Area. Dr. Palep has conducted extensive research in medical dermatology, with a focus on the carcinogenic effects of UV radiation on DNA. Her work has been published in theJournal of the American Association of Dermatology, the Journal of Cutaneous Pathology, and the Journal of Investigative Dermatology. Dr. Palep is an active member of the American Medical Association, the American Medical Women’s Association, the American Academy of Dermatology, the New York Academy of Medicine, the New York Dermatology Society, and the Society of Investigative Dermatology.